Ashley is PolishAddicted: Zoya Gilty Pleasures Trio/Gift Box with 18K Gold Flakie! Zoya Gilty Pleasures Trio/Gift Box with 18K Gold Flakie! The Gilty Pleasures velvet gift box features Zoya Gilty*, the 18k Real Gold Flake Topcoat (0.5oz) Plus, two long wearing, full-size (0.5oz), colors to cover in gold as a bonus... Zoya Raven (black) and Zoya Purity (white). Official Ship Date 10/15/2012 - Due to extreme demand and scarcity of the gold material, we are asking everyone to pre-order the Gilty Pleasures Trio Box in advance. Once pre-sell is sold out, there will be no more product available (that means when it's gone it's gone). You will not be charged until for the Gilty Pleasures Trio Box actually ships. 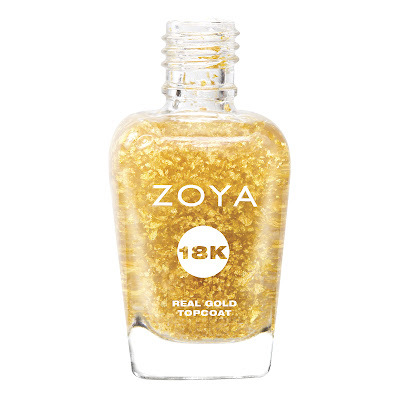 Try Zoya Gilty over your favorite nail polish shade to create your own signature 18K Gold look - click here for a few of our suggestions. Ultra long-wearing, glossy nail lacquers by Zoya are BIG5FREE - all formulas are completely free of harmful industrialchemicals such as toluene, camphor, formaldehyde, formaldehyde resin and dibutyl phthalate (DBP) that are known to cause cancer and birth defects. Order Zoya Gilty Pleasure on Zoya.com today! 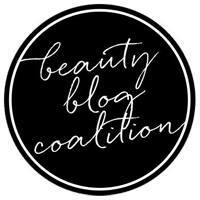 Don't forget about Share The Love Program! Click my link here to start - get your FREE nail polish and start earning Share the Love Points yourself! When someone clicks on my personal link and sets up an online account, a coupon for a FREE Bottle of Zoya Nail Polish will automatically be placed in your account and can be used immediately on your current order. TIP: If you use this coupon and add 2 more polishes to your order, you get free shipping too! The coupon will appear in the "My Coupons/ Promos" section of your new "My Account" Page.